Hello again boys and girls, it's been a while since I've posted; well, I've been busy with the odds and ends of life, work, a man-flu, and grappling with The Rite Stuff's stuff. 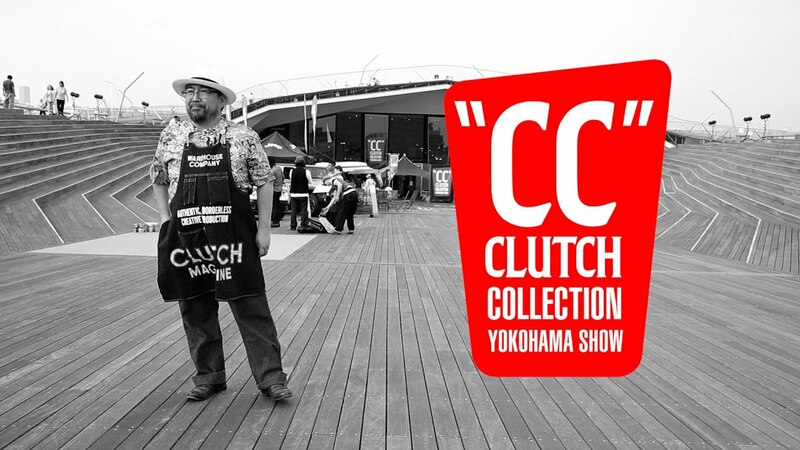 Bad news first: I didn't get to go to CC Show in Yokohama this time, and will have to wait until March. What? That's not such bad news you say? True. I supposed the real "bad news" lies more along the lines of human nature and its many permutations within our hobby, but that's neither here nor there. Next time, fair pearl of the ocean harbor! The good news: Heracles XL and XXL shirts will be here very soon! In addition, the first sample of the long-sleeve henley (to be released in December, mark those calendars) is likely coming along with them. To say I'm excited about it would be an understatement; it'll be in a great ecru-colored fabric, with brown Mother of Pearl shell buttons, and a placket design that I've never seen anyone else use before (patent pending!). The perfect way to keep warm, great for ladies and gents! Made in Japan with John Lofgren, as always. Those lovely buttons. If they work out you could see white and navy blue versions on other shirts too. And so the long march to getting the brand off the ground continues, challenges be damned this thing is bigger than me after all. Or is it? Which brings me back to Heracles, aka Hercules, aka why did I choose that as the name for my first product? Was it just a send-up of the Sears Hercules brand? That was part of it. But why would they choose "Hercules" in the first place? Because it implied the clothing was the strongest in the world, and that, by extension, your wearing it would make you a rough-and-tumble hero too? Perhaps. Maybe it goes deeper than that though. Maybe it's about the individual. The quest of the individual who leaves order and ventures out into the unknown, the realms of chaos that promise to be tamed or reveal treasures within (the real ones), that is the foundation for our DNA. Rugged individualism has long been the American ethos, regardless of who used it for justification for what. It's hardwired into our brains. Hercules, locked into mortal combat with the Nemean lion in the first of twelve labors assigned to him by King Eurystheus, did what humans first did when they descended from the trees to confront the predators that stalked them in the night: they created order out of chaos, and established safety in their world of constant threats and uncertainty, of being at the mercy of forces out of their control. Wrestling lions: the world's oldest sport. The Nemean lion had been terrorizing villagers in Nemea, and no one could stop it, to the point that its mane and hide were said to be impervious to all weapons. So too must our earliest ancestors, without so much as perhaps a rock or fruit, have felt at the sight of a lion prowling in the night. How to vanquish something so fast, large, and powerful? And this is where the hero's quest began, for who was the hero in the dawn of our days but the one who had the bravery to fight off the lion? The one who was the savior of many, and if luck had it a few others would join that bravest of individuals. That's why the hero's quest resonates with us today. The hero is that boundless source of energy, creativity, and imagination that seeks to create some order (but not too much) from the fear of death and the unknown. And what the heck does all this have to do with starting a clothing brand? I suppose we all need our own hero quest after all, and few people are in mortal danger of being attacked by big cats while walking home anymore. People sometimes ask why I wanted to start a brand, and in my perhaps delusional sense of grandeur I figured this was my labor, the Herculean task set before me in which I would test my own mettle, to rise forth from the group and put forth into action the creative, conscious energy which sees no other outlet for itself. Again, probably this all sounds like metaphysical mumbo-jumbo, and maybe it is, but in a sense it's the impetus for daring to fail. Maybe for legacy, maybe for fame, but certainly to harness all of my potential into one effort, and to see where the journey leads from here.